Are you trying to address a long standing problem or has life presented you with a new challenge? Are you navigating one of life’s many transitions, facing the loss of somebody that you care about, feeling frustrated with a relationship, finding your identity, or experiencing symptoms of Anxiety or Depression? Are you suffering? Are you seeking peace of mind? Therapy is a time and place where we can slow down and take a closer look at the obstacles and difficulties we face in our lives. 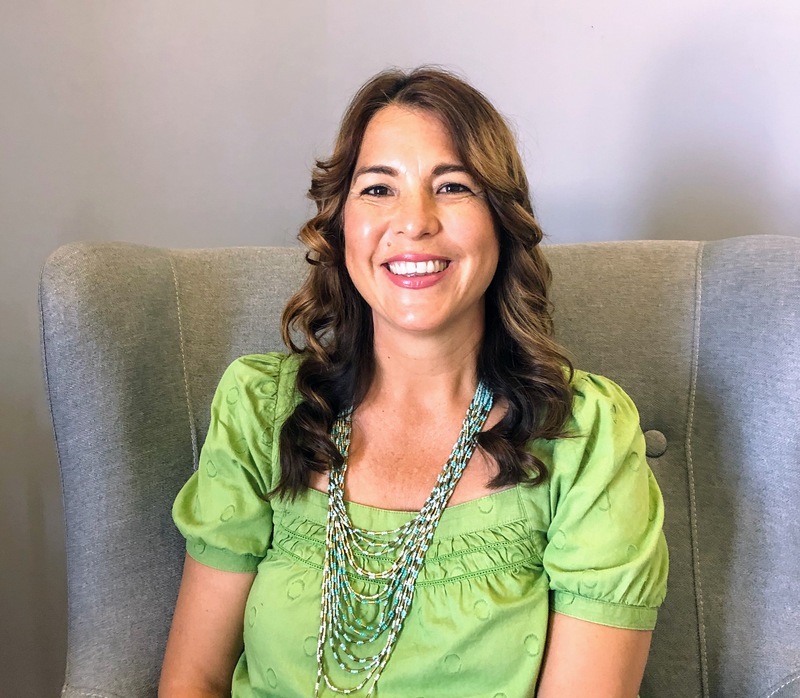 My name is Chrissy Kortenhoeven, and I am an Associate Marriage Family Therapist (AMFT92190) at The Vine Counseling and Psychological Services, supervised by Dr. Christine Duong-Perez. I am easy to connect with, and it is essential for me to provide an environment in which you feel accepted and comfortable. I strive to create a safe, nurturing, and productive place for you to grow, learn, and change. My therapy style is intuitive, compassionate, supportive, empathic, and nonjudgmental to bring clarity and emotional wellness. I believe we all can benefit from telling our stories and finding new ways to understand them. I admire the resilient human spirit in each of us and hope to build from that as we get to know your present and past challenges. I focus on your strengths, which by using your history as guide, we can collaborate together and find practical ways to bring healing and hope to your present circumstances. I believe therapy is a collaboration between therapist and client in working towards the goals you hope to achieve from this impactful journey. Research reveals that clients who trust and feel comfortable with their therapist, report better results. Knowing this to feel all too true in therapy, together, we will create a collaborative relationship based on trust, curiosity, understanding, and humor to find growth and healing for you. Treatment is individually tailored for each client, as what works for one person may not work for another. No situation is beyond hope; my clients leave our sessions with real insight and tools with which to move beyond their troubling issues. I recognize how hard it can be to seek change and ask for help; I love supporting clients in this work. I am passionate about my Christian faith, the value and worthiness of all individuals, and their diverse experiences. I want to encourage you to step into your worth and explore yourself. It’s the biggest gift you can give to your future and everyone in relationship with you. If you are looking for support I would love to connect with you and get started soon! I have had intensive training in Dialectical Behavioral Therapy (DBT) to empower my clients to establish mindfulness, distress tolerance, emotional regulation, and interpersonal effectiveness. As a client you will be assisted in developing these skills to improve functioning and to build satisfying lives and to effectively balance acceptance and change in your life. I am passionate about working with both children and adults. I am also trained in EMDR. I am very comfortable working across the lifespan as both a therapist and teacher. I have worked with elementary, middle, and high school students, as well as their parents over the past 20 years as an educator in public, private, and homeschool systems. I received my BA in Liberal Studies/Diversified from Westmont College with a Multiple Subject California Teaching Credential. I have an English and Art credential, as well. Realizing the connection of validating students and connecting with their hearts, I received my MS in Counseling from California State University, Fullerton. First of all, we are so sorry that you’ve experienced this loss . We and so many women in similar situations all over the world grieve with you and want to remind you that no matter how you feel, the truth is that this is not your fault. Experiencing a pregnancy loss means that you are probably feeling more sadness than you ever thought possible. Having a miscarriage can be very difficult. The emotional impact usually takes longer to heal than the physical recovery does. Allowing yourself to grieve the loss can help you come to accept it over time. Finding support when dealing with infertility is important. Friends and family can provide some support, but even the very best of friends can’t truly understand what you are going through without having experienced infertility personally. For 12 weeks, couples can meet and speak with people who do understand. Different topics will be assigned each week. Topics for this infertility group typically include stress reduction, self-care, anger, and depression, dealing with family and friends, impact on the couple’s relationship, medical options, third-party reproduction, adoption, and childfree living. The Adoptive Parents Group shares insight and support to parents of adopted children and adolescents seeking secure and open family relationships. Groups are limited to ten participants who identify and address the challenges uniquely affecting families impacted by adoption. Discussion topics are determined by needs of the participants. Issues may include: How to talk about adoption with our kids, family, friends and teachers; Open adoption; What children may think and not mention; Cross cultural issues; Families with biological and adoptive children; Nature vs. Nurture: What the experts are saying; Challenges of adolescence; Searching for birth families and social media.